No more cruising for us till after Christmas. 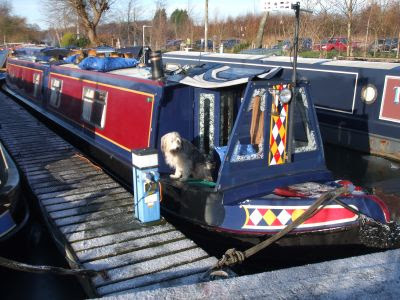 We’re here moored up in Uplands Basin Marina, after an interesting couple of days. 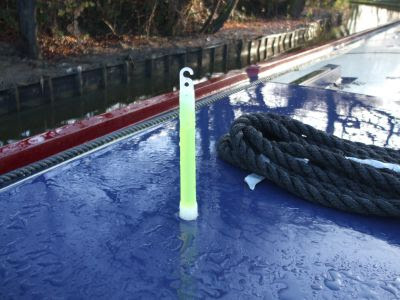 The very low overnight temperatures leaves the canal frozen each morning, and as the days are not getting much above zero, the ice thickness steadily increases unless broken up by passing boats. This then leaves it’s own problems. 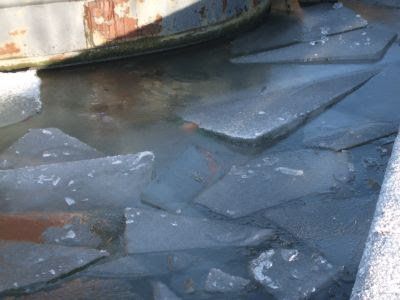 The plates of ice displaced by the boats freeze into the surface overnight, leaving very thick patches. We’ve had a few showers of snow, but nothing like as much as has hit the north west. It looks like pure misery on the roads up there. We moved back up to Anderton yesterday, and I had a walk down to Uplands Marina today to have a word with the manager, Dave. He’d got us a berth all arranged, but recommended that we come in this afternoon rather than tomorrow morning. Today has been a bit warmer, and the ice in the basin looked to have thawed a little. So we cruised the ½ mile this afternoon, but it took 1½ hours to get there! Going in straight lines was fine, but the sharp right hand turn into the marina took some time, steadily chopping the ice up to make the turn. Then once in the basin we had a 270° ¾ circle to describe to line up with the berth we’d been allocated. Not exactly a 3 point turn, more like 33! Our slot is at the end of number 1 pontoon, which involved negotiating the narrow gap between 2 rows of boats, then smashing up the ice at the end to get close to the pontoon. It was well over an inch thick in places, and took 3 of us 20 minutes to clear it out of the way. Thanks Dave and our neighbour, Richard. Finally moored.... But this is some of the ice we had to move to get there! So we’re here now for the next week. I hope we have a thaw by the middle of next week. It was hard enough getting in here going forward, it’ll be nigh on impossible pushing through the ice in reverse. Enterprise are delivering a car for me tomorrow, and we’ll be heading off to see family over the next few days, weather permitting. Unless there’s anything particular to say, I’ll probably not bother posting till we get on the move again. I don’t know where we’ll be heading though. 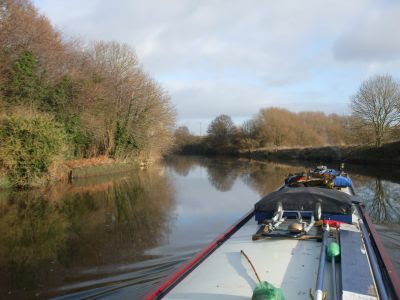 We had a tentative plan to go south to Shardlow, to visit Carol and Sonja before heading north again towards Liverpool for March. 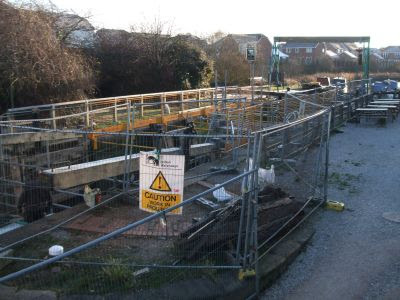 But BW are closing the farm bridge for repair near Stenson from January 4th for 10 weeks. 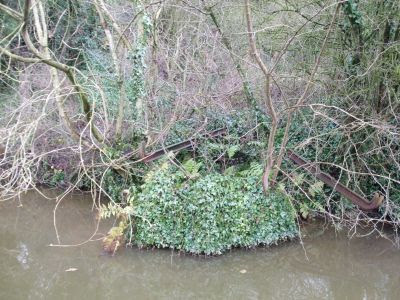 This is the bridge that was badly damaged by a tractor and trailer in October last year. So that puts paid to that. We’ll think of something, though. 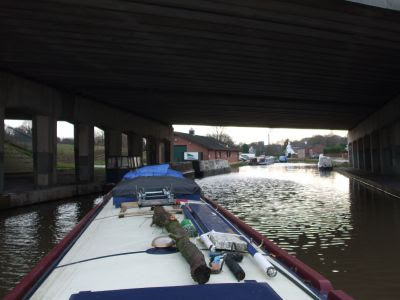 So much for counting chickens before they’re hatched…..
We’ve spent the last couple of days edging closer to Middlewich, to be in a good position to head south just as soon as Big Lock opens. 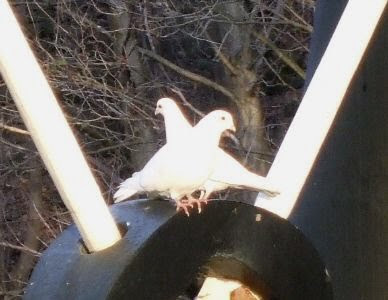 On the last post, Alf left a comment about the progress of the repair work, so I rang BW yesterday afternoon and was advised to check again today as there had been a holdup. 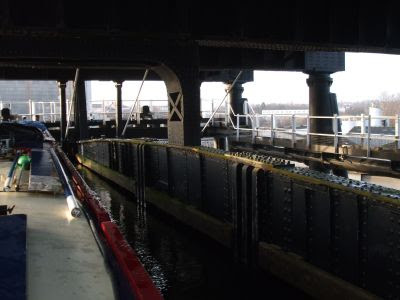 Today the news is that the lock will be open, on restricted hours and with BW staff assisting passage. The hours will be 11:00 till 15:00 on Saturday and Sunday, before normal opening next week. 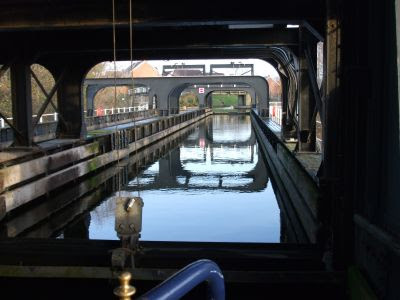 Middlewich Big Lock this morning. Still a lot of work to do to get it operational. Unfortunately that puts our plans into disarray, as we need to get an early start each day to get down to Great Haywood on Wednesday. 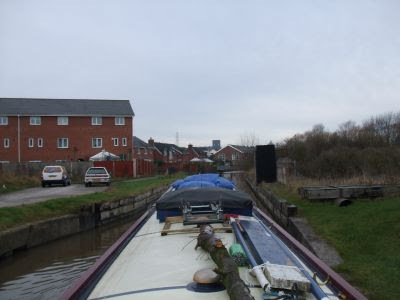 With a half-dozen boats already queuing this side of the lock, it’d be mid afternoon before we were out of Middlewich. So Plan A goes out of the window porthole, and Plan B comes into effect. 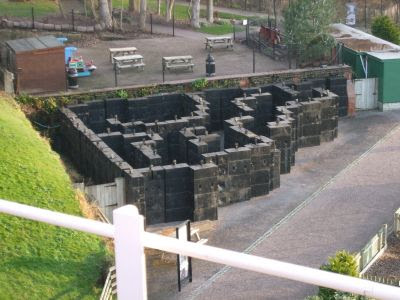 Anderton Marina can’t fit us in, but Uplands Basin can. 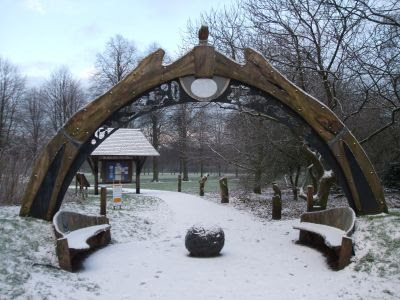 So we’re toddling back up to Anderton over the next few days, and that’s where we’ll be spending Christmas. I can get a car out of Enterprise at Northwich for a week, and we can do our seasonal visiting from there. 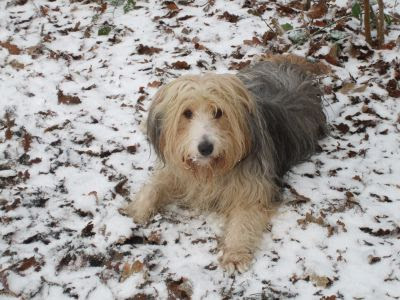 The squirrels in Marbury Wood won’t be best pleased, they thought they’d seen the last of Meg! Last night there were a few flurries of snow, but not enough to cover the ground. It was still white this morning though, following a really hard frost last night. 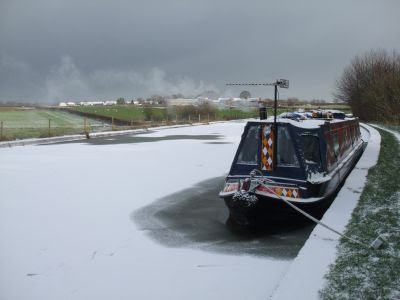 The canal was frozen right across in sheltered sections. 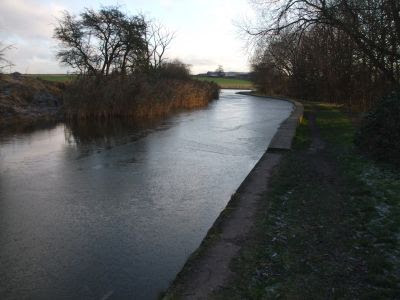 This was taken near Croxten Flash, another water filled “lake” alongside the canal caused by subsidence following underground brine extraction. The edge of the canal has been raised to keep the water in. This is also the reason that the bridges along this stretch are flat, rather than the more usual brick arch. The span is supported on iron I section beams which can be raised to improve headroom by putting another couple of courses of brick in. 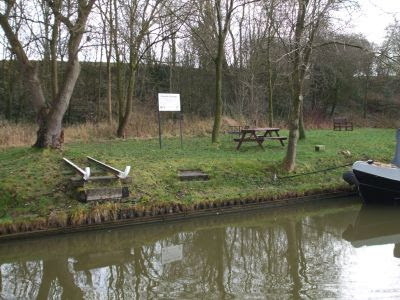 So in the event of subsidence, the canal can be kept open. Brine pumping was almost a cottage industry, and there is lots of evidence of the activity along the canal. Tramway loading rails at Brambles Cutting are well preserved….. While others are almost lost in the undergrowth. We’re back up on the canal again, waiting for the go ahead at Middlewich Big Lock. We came up the lift yesterday, and it was quite a surprise seeing boats moving again after the quiet river. 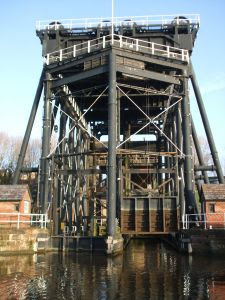 An indication of how busy the lift used to be can be seen by the little huts at the base of each side of the structure. These, complete with stoves for heating, were for the lower operators. The upper operators had the glazed shed, perched on the top, to work out of. 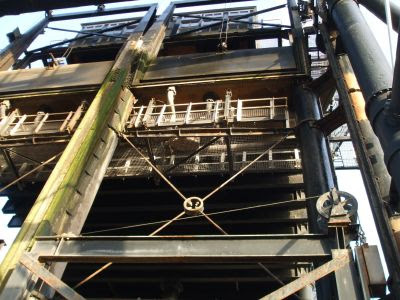 The iron structure is bolted and riveted together at the joints…..
And braced in the framework. Redundant counter-balance weights now form a maze. 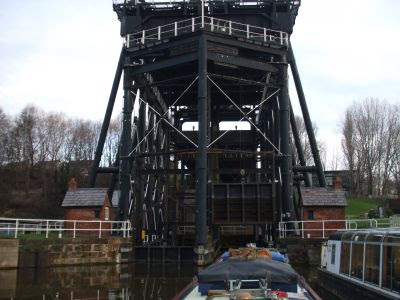 We spent last night on the moorings just above the lift, then moved on towards Northwich today, stopping at the services at Anderton. 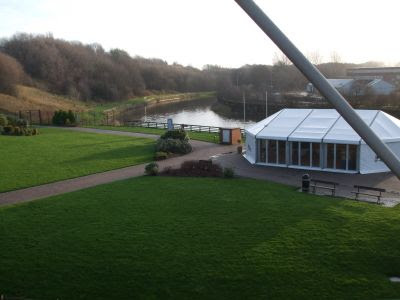 These facilities are provided by BW, and offer fresh water, and loo and rubbish disposal for boaters, some even have shower and laundry rooms. In compliance with rules for disposal of hazardous waste, there are signs prohibiting leaving used engine oil and expired batteries at the refuse skips. But of course, there are always those individuals to whom the rules don’t apply. Consequently there are often cans of oil and the odd battery tucked into discrete corners of the compounds. The waste contractors are not allowed to remove them, so there they stay. 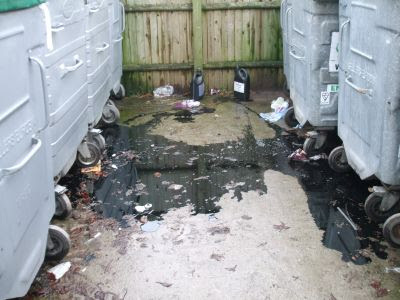 That is, until some oik decides to take the lids off and empty them on the ground…..
Lovely. It was definitely deliberate, both of those plastic bottles were on their sides, sans lids. I gave BW a call to let them know, the local supervisor will be dead chuffed, I’m sure. It was the second call I’d made, the first was to book passage through Harecastle Tunnel on Monday. During the “season”, you just turn up and queue, but, with limited traffic through the winter, the tunnel is only staffed when required. 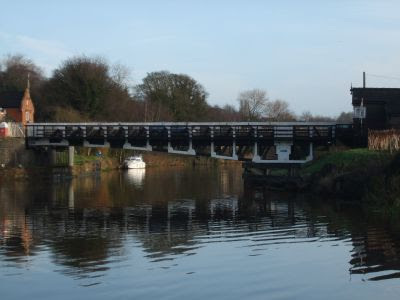 Now we just need for them to finish work at Middlewich on Friday, and we’re on a roll. What a contrast between yesterday and today! 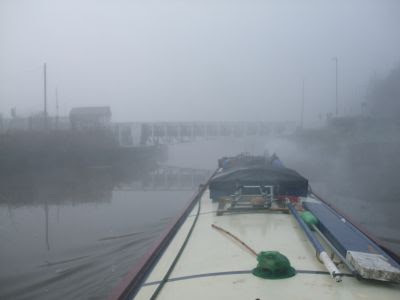 We cruised to Northwich in beautiful sunshine yesterday morning, and came today back hardly able to see where we were going. Northwich is not a bad spot for shopping. It’s got pretty well all the shops you’d want, and is quite compact. 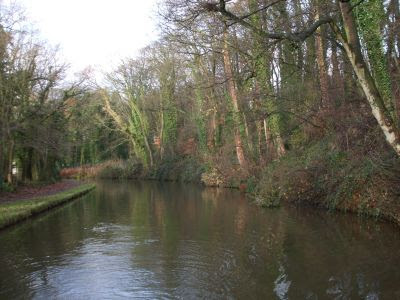 Access from the river is only 5 minutes from the town centre, so handy for lugging back all those Christmas presents…. We spent a bit longer than planned, and it was nearly 4 o’clock before we set off back. We didn’t want to spend the night in the town, pleasant as it is. With sunset being not long after 4, it was getting dark by the time we got to Anderton, so pulled over near the lift for the night. 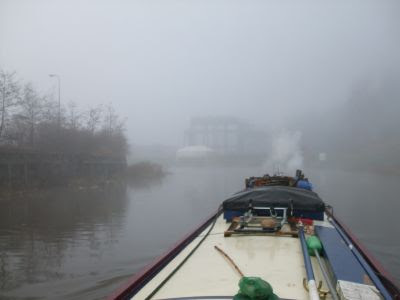 The mist was rising off the water as we moored, and it was pretty dense this morning. 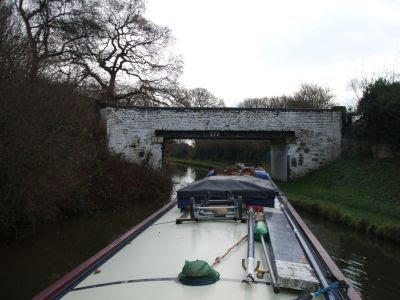 We left it till 11:00, but there didn’t seem to be any improvement, so we headed off back to Barnton Cut. With nothing else on the river, there wasn’t much chance of meeting another boat. 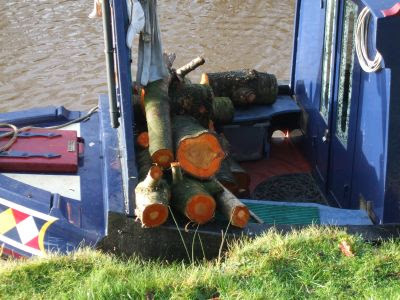 There were a few more logs to collect on the way, and we were moored up again around noon. Then I set to, to slice up all of our recently acquired wood. Logs turned into rings for splitting into wedges. I chopped some up to last a couple of days, and the rest is now stacked tidily on the roof. 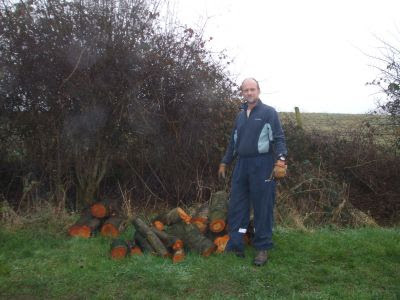 And I’ve got an aching back…… I’m glad we’ve got a chain saw! 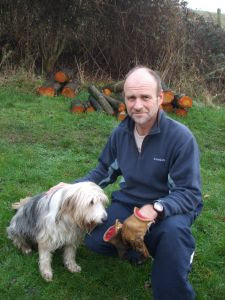 We had a couple of days at Anderton before moving back to Marbury. 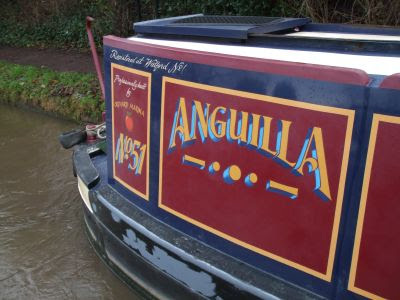 I’d made a visit to Anderton Marina for oil and an oil filter before we left, so did an oil change on Tuesday morning. 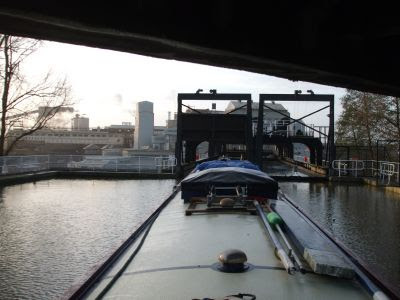 Then we backtracked to Anderton for the night, so we were ready for an 09:45 passage down the boat lift today. On the way we passed Bill on NB Anguilla. 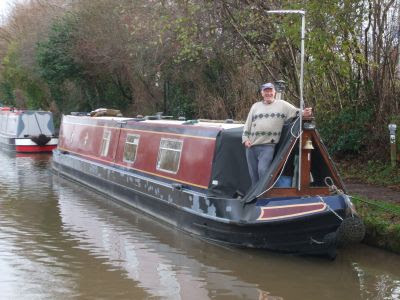 He has an Orchard boat as well, and still moors in the marina. When we were considering buying Seyella he was kind enough to show us round his boat. It was built a couple of years before ours, and it gave us the opportunity to find out any potential problems. Both boats are similar, built on the same Jonathon Wilson shell and even in a similar colour scheme. He’s out of the marina for a few days, just for a change. Up nice and early this morning, we were waiting on the holding moorings just before 9. With no-one else booked in this morning, or indeed this week, they were ready for us and we were on the river by 09:45. Off the canal and onto the linking aqueduct. 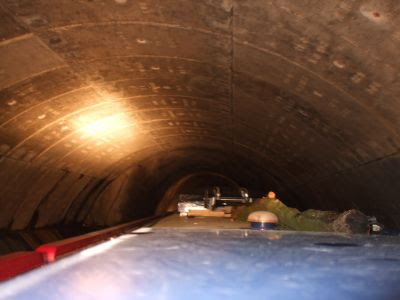 Looking back up to the underside of the aqueduct. Looking back at the lift. We came out of the right hand tank, the guillotine gate is just dropping again. Turning right, downstream, we ducked under Winnington Swing Bridge then had a short stop a little further on to collect some logs I’d spied while out on a morning run. 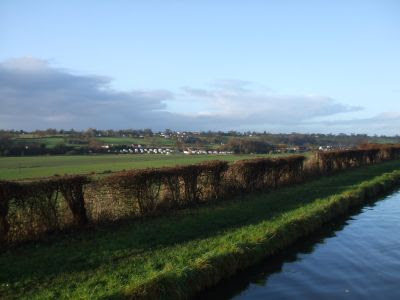 We moored on Barnton Loop, the artificial cut which swings around the end of the ridge through which the Trent and Mersey is dug, 50 feet above us and about ½ a mile to the NE. 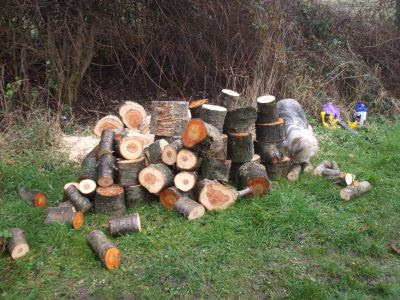 Now I’ve just got to get it cut and stacked…..
It’s been a fine, sunny day. The forecast seems to suggest that this could be the weather for the next few days. That’ll be a pleasant change from the rain. Shopping in Northwich tomorrow. Something to look forward to…. At least we shouldn’t have any trouble parking. It looks like the government have decided to review the possibility of a sell-off of BW’s property portfolio. Though I’m struggling to decipher the official release and it’s implications. The IWA have a better go at it than me, here. 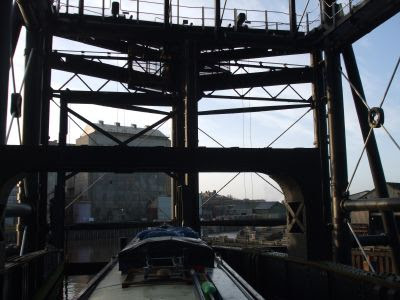 Locks 0 (but 1 boat lift), miles 3. We had a couple of days on the bank, but couldn’t really enjoy the views over the valley due to the wet weather. Today’s view was better, with clear skies. I managed to get some wood cut up into stove-sized pieces in a dry gap, and found out why there’s a dribble of “goo” running down the flue pipe. 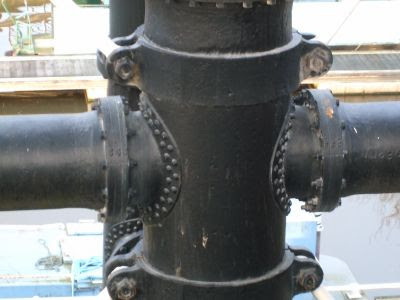 There’s a hairline crack in the pipe, along the welded seam. 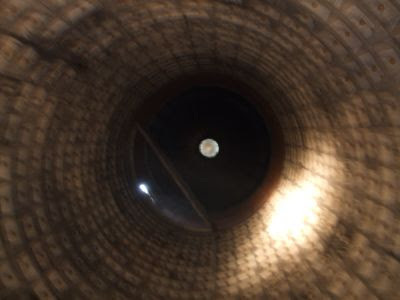 Burning wood, with the higher water content than solid fuel, coats the inside of the flue with tar, which oozes out through the crack and runs down the outside. It hardens off into a crust before reaching the stove. Obviously it’s not a good thing to have a crack in the chimney, so I set to and did a bodge job to contain the problem until I can get it fixed properly. A biscuit tin, some fire cement and half-a-dozen jubilee clips. Not pretty, but effective. And it’ll stop us from expiring from carbon monoxide poisoning. I don’t think that’s been an issue, though. There is a detector in the saloon and it’s not made a peep. Yes, it does work! Remember Carol on Corbiere who we travelled with through last summer? 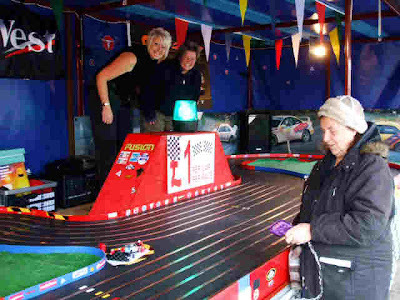 You may remember she and Sonja bought a mobile slot car race track to tout around garden fetes and such like. Sonja, Carol and Mags at the races. Well, they’ve set up a website. Check it out if you’re looking for something a bit different for your outdoor do. Probably wait till the spring though, eh. Today’s forecast was sunshine and showers, and we got away at around 09:30, to arrive at Saltersford for 10:30. Last night, while out with Meg at 11:00 for her last run-off before bed, I spotted something glowing in the reeds opposite. Couldn’t make it out in the dark so when we pulled pins this morning I manoeuvred across to take a closer look. I fished out what I thought at first was a fishing float, but then discarded that idea. About 5” high, with a hook on the top and filled with a viscous green fluid. 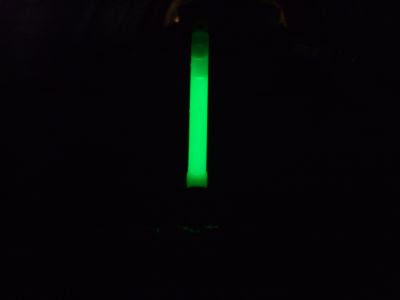 Anyway it was on the hatch when we went into Saltersford tunnel, and lo and behold, it glows in the dark! Must be some sort of Christmas decoration. Cool, though. We cleared the 2 tunnels and stopped just after the road bridge so I could make a visit up into Barnton. I’ve never shopped here before and was pleased to see that it’s worth the visit. A Post Office, butcher and general store on the main road, and a bit off the beaten track a handy little DIY shop and a Co-op. The residents must be quite concerned about their appearance. I counted no less than 4 hairdressers! 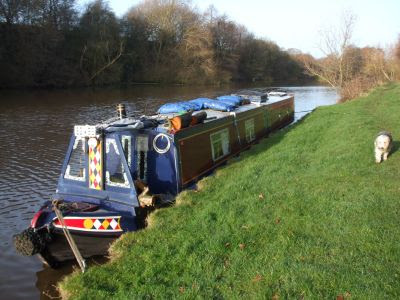 We moved on again, stopping just past the lift on the visitor moorings at Anderton. It’s been a pleasant little cruise, quite mild in the sun. 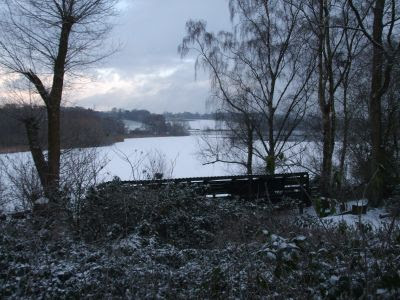 The canal is cut into the rising ground alongside the river valley. The river is down on the left. I’d been getting a bit fed up with all this wet, windy weather, and said as much in an email to a friend the other night. Well, we woke up yesterday morning to find that December had started well. 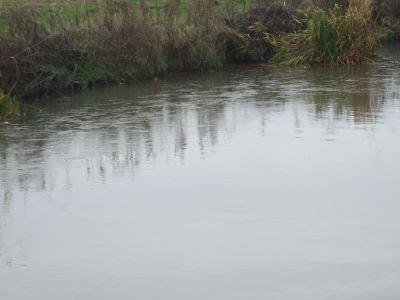 Frost on the fields, frozen puddles and even a skin of ice on the canal in sheltered spots. We left Moore, heading back to BW waters. A short detour was needed though, to visit the service block a little way in the Runcorn Arm. This section of the Bridgewater is actually the original main line and used to link up with the Mersey before the Ship Canal was built. 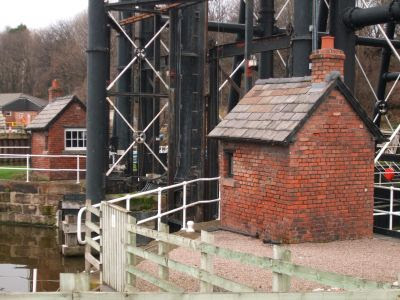 It still runs into Runcorn, 4½ miles away, but the locks which connected it to the river were closed in 1966, and have since been filled in. Back out of the Arm, under the M56 bridge, and I pulled in to make a visit to Midland Chandlers. Love ‘em or hate ‘em, I’m still like a kid in a sweet shop in their branches. All those goodies for boats…. Heading for a wallet lightening session…. 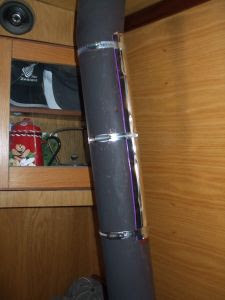 Actually, I was very restrained, just some yacht varnish and cable terminals. Oh, and a couple of brass bits. Can't resist the brass bits. We had a 25 minute wait for the entry time at Preston Brook Tunnel so took the opportunity to have bacon butties for lunch, then caught the 13:30 entry window. 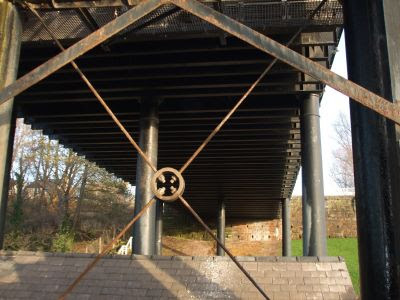 The canal tunnel has been extensively repaired near the middle, using pre-cast concrete sections to line the bore and the ventilation shaft. Preston Brook Tunnel, repaired section. 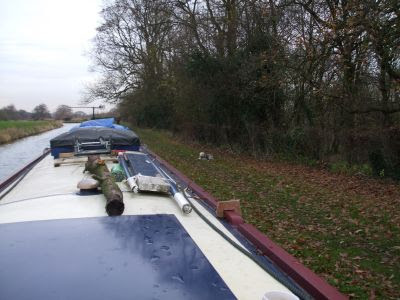 Out into daylight once again, through the shallow stop lock and we moored at the end of Longacre Wood for Meg to say Hi to the squirrels. They were, of course, delighted to see her…. We were intending to stay here for a few days, but the weather turned wet again later in the afternoon. The rain interfered with the digital TV signal, so we switched back to spotty analogue. 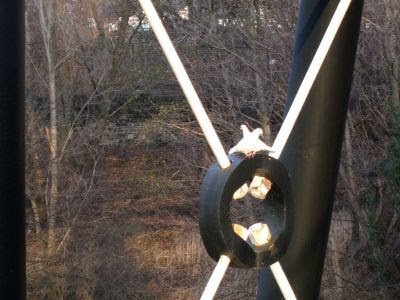 The trees alongside prevented the use of the satellite dish. We're picking up the Granada transmitter here, and the analogue signal was switched off last night, so we had to move on to get better digital reception or a clear line of sight to the spot in the sky. We finished up just a couple of miles further on, just short of Ryan’s Bridge. 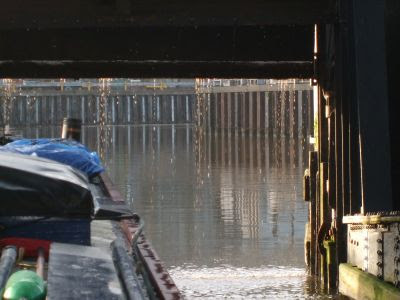 There’s a bit more about the fire at Canal Cruising’s base at Stone last week on Boating Business. It looks from the picture that the fire started at the front of one of the boats, not the engine room as first thought. The Darlington’s Phyllis May is the far boat in the picture. And I reckon Leo deserves a bonus…. The Darlington’s are bouncing back though, with a new boat. In Parliament today the Environment, Food and Rural Affairs minister, Huw Irranca-Davies, stated that there are no current plans to sell off any of BW’s property. (The italics are mine…. ).